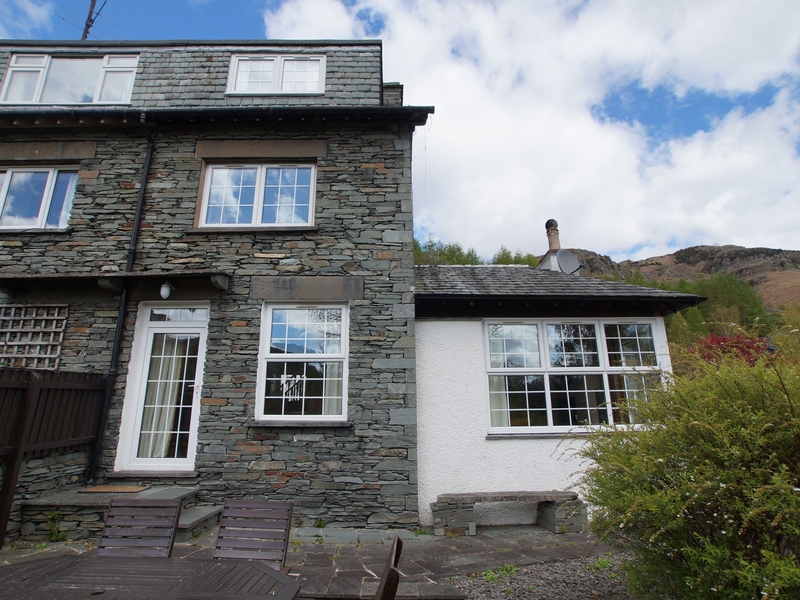 Plumblands is a semi-detached cottage situated in the village of Chapel Stile in Cumbria. It has three bedrooms comprising of two doubles (one on the first floor and one on the second) and a second floor twin room, plus there is also a shower room and a bathroom, the cottage can sleep six people. Also inside you can find a kitchen and a living dining room with a woodburning stove. To the outside there is off road parking for two cars and a terrace garden with a table and chairs. Plumblands is a delightful cottage in an idyllic rural location. Over three floors. Three bedrooms: 1 x first floor double bedroom, 1 x second floor double bedroom, 1 x second floor twin bedroom. Ground floor shower room with shower, basin and WC. First floor bathroom with bath, shower over, basin and WC. Ground floor kitchen. 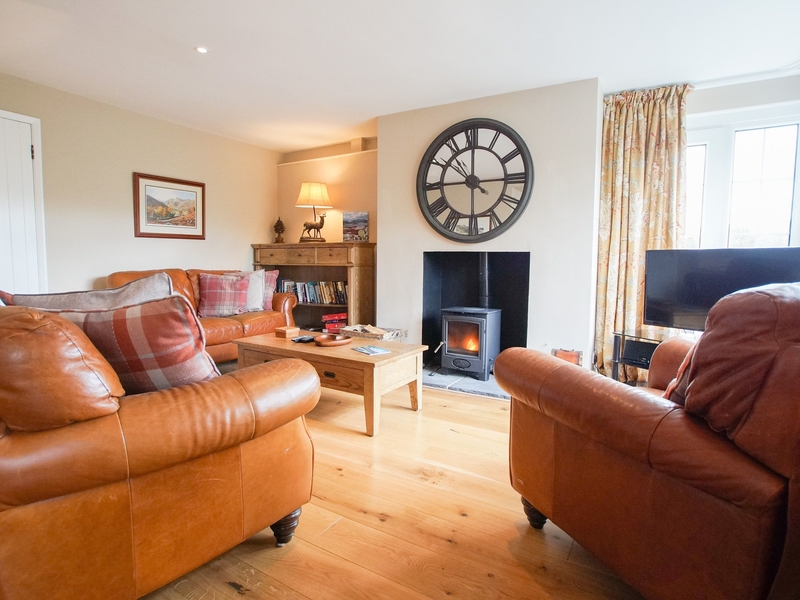 Ground floor sitting room with dining area and woodburning stove. Gas central heating with woodburning stove. Electric oven and hob, microwave, fridge/freezer, washing machine in first floor bathroom, dishwasher, TV with Freeview, DVD, WiFi. Fuel, power and starter pack for woodburning stove inc. in rent. Bed linen and towels inc. in rent. Cot on request. Off road parking for 2 cars. Terrace with table and chairs. Sorry, no pets and no smoking. Shop and pub 6 minute walk.